Four screen shots show the look and feel of DepreciationWorks®. 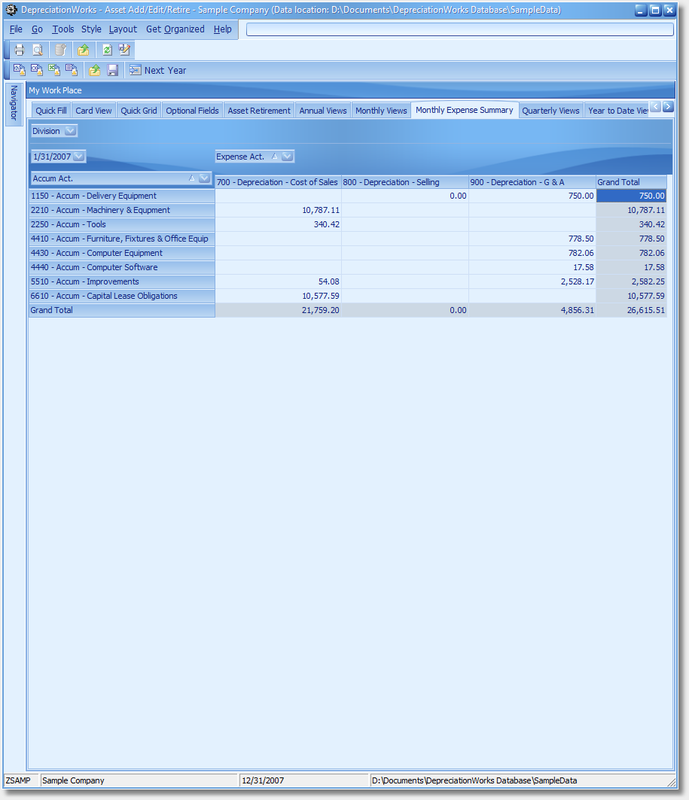 First is the Quick Grid data entry screen, second is the Quick Fill data entry screen, third is the Annual Views – Detail View screen, and fourth is the Monthly Expense Summary. Quick Grid is for spreadsheet-like entry of multiple assets. Quick Fill is for data entry. 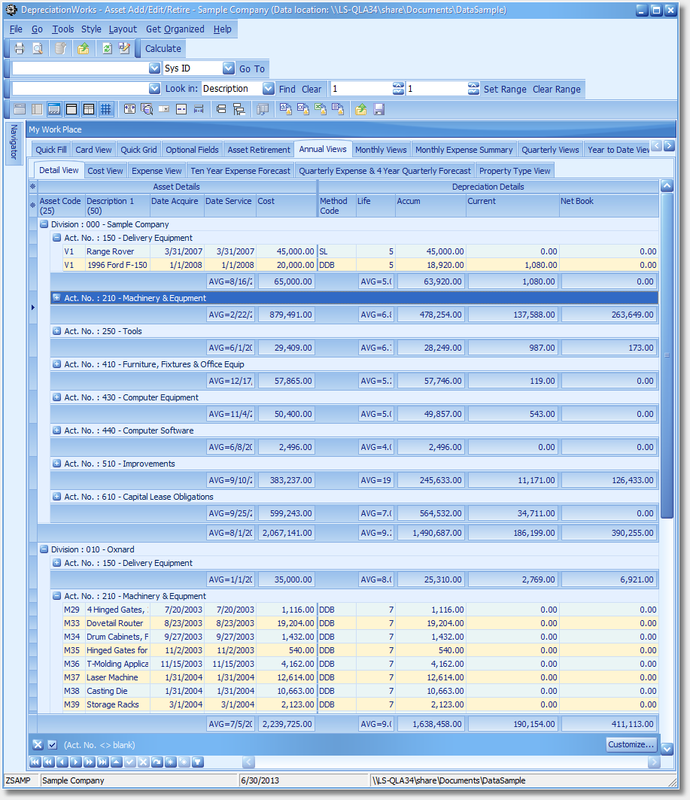 Annual Views – Detail View is a basic depreciation schedule displayed on-screen. 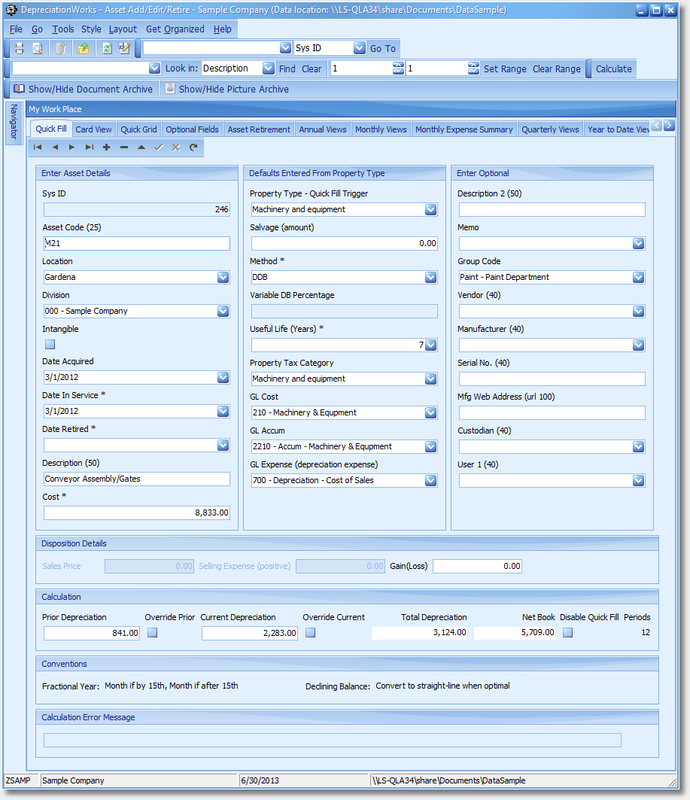 The Monthly Expense Summary is an on-screen monthly journal entry. The grids are visual custom report writers and all grids print, save to PDF format, and export to Excel®. The Detail View allows edits to assets on-screen. DepreciationWorks includes several look and feel styles. Download the free 30 day trial and explore DepreciationWorks' database integrity and spreadsheet-like ease of use. Quick Grid: spreadsheet-like data entry for multiple assets working down columns. Quick Fill: for asset data entry. 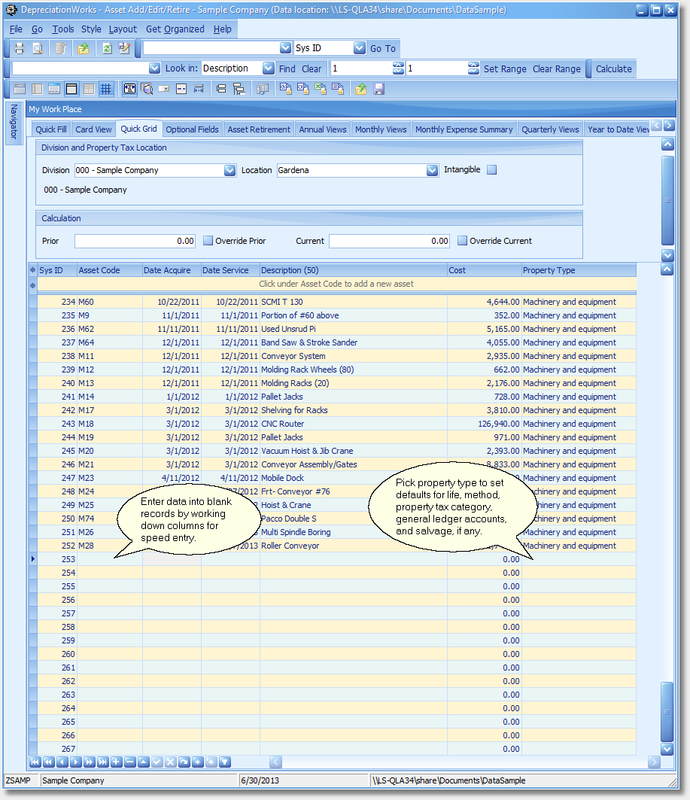 Annual Views - Detail View: on-screen annual depreciation schedule that also accepts edits to assets; grouped by division and general ledger cost account for totals and grand totals. Monthly Expense Summary: on-screen monthly journal entry in a pivot grid.